We are just coming out of winter here in Melbourne, Australia so I thought I would enter in a more Wintery 'Touch of Sun' image. I love to shoot sunflare, in fact, I had tonnes to choose from (well at least a dozen!) and I decided on this. 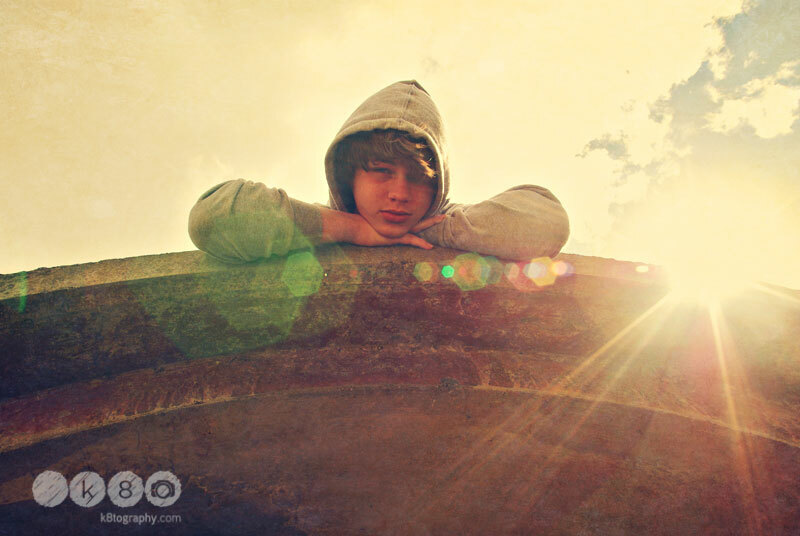 He is my 15 year old son and he had climbed up on top of a huge concrete pipe and lay down in the sun declaring that it was 'really warm up here and why don't you come on up?' errrrrr - no thanks! But I did say stay there and let me take your photo!! Head on over to the wonder I heart Faces and check out the many sunny images! Don't forget to leave comments - everyone loves a comment!